Ever since the Nirav Modi scam came to fore, insolvency proceedings against four diamond companies have been initiated by operational creditors. It seems the busting of Nirav Modi and Mehul Choksi loan scam has taken the lid off the much deeper problem in the diamond industry. Ever since the Nirav Modi scam came to fore, insolvency proceedings against four diamond companies -- Winsome Diamonds and Jewellery Limited and Forever Precious Jewellery and Diamonds (both owned by Jatin Mehta), Kohinoor Diamonds and JR Diamond -- have been initiated by operational creditors. In case of Winsome Diamond and Forever Precious Jewellery, the insolvency proceedings have been started by Ramesh Mehta, a provider of labours and workers for cutting and polishing of diamonds for non-payment of Rs 17.58 lakh and Rs 9.35 lakh. In case of Kohinoor Diamonds, insolvency proceeding has been started by Nikita Enterprise, another firm that is a provider of labours and workers for cutting and polishing of diamonds, for non-payment of Rs 6.71 lakh. And in case of JR Diamond, the proceeding has been initiated by Kaushar Gems for a default in payment of Rs 5.41 lakh. Jatin Mehta-promoted Winsome Diamond and Forever Precious Jewellery, which together owe around Rs 7,000 crore to different banks including PNB, are already under CBI and ED probe. ED had last year attached properties of the two companies worth Rs 172 crore. Exact claims of the financial creditors in case of Kohinoor Diamonds and JR Diamond are not known yet. After the PNB loan fraud case came to light, there is already a lot of speculation that the sector would shrink as banks go cautious on extending credit to the sector. 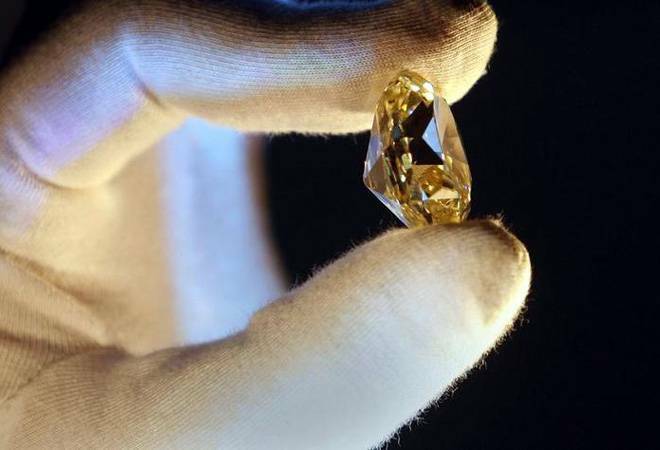 A report from CARE Rating says that closure of Firestar Diamonds and Gitanjali Gems alone would lead to sales falling by 16% and loss of 7,000-8,000 jobs in the sector. According to the report, total credit outstanding to the sector as of December 2017 is Rs 69,000 crore, which is 1% of Rs 72.63 lakh crore gross bank credit. The sector reported 11.7% stressed loans, which can go to as high as 30%. Can the insolvency and bankruptcy code be a solution to rising stressed assets loan in the sector. Experts do not see much hope given the 'fraud' tag associated with some of the loans which have started going bad. "Even if the insolvency proceedings are initiated (in some of these cases), one has to see if they have that much resources or liquidation value that a resolution applicant would bid for it considering the "scam" tag is already been affixed on the brand. It would be a difficult call for any person who would like to bid for it. In many cases, the only value or asset available is the brand which in the present case has already been tampered to a great extent," says Manoj K Singh, Founding Partner of law firm Singh & Associates. Karti Chidambaram arrested: What is the INX Media case? "The government needs to ask private healthcare players to change their model"